We always seem to look afar when it comes to seeing wildlife. It seems more exciting, colorful and diverse on every continent other than Europe. Tropical birds are more colorful than a gull, that much is true, but you don't have to go abroad to find unique and breathtaking wildlife. Why not stay in Europe for your next trip? While you can probably see some wonderful birds and deer in the forests of southern Germany, one of the best places to indulge in bird and wildlife watching: the country's only high sea island, Helgoland. About three hours off the coast of northern Germany, the one square mile of red cliffs and steep green land houses a large variety of animals. While tourists come for the day for tax-free shopping, the nature is what really makes the island unique: the cliffs are full of northern gannet, so crowded in fact that you can admire them in flight as they wait to find a place to land, the grey seals are layered on the beaches. During breeding season, there will be up to 200 seals lying on the neighboring small island. The red cliffs are almost invisible, covered in black dots - guillemots. 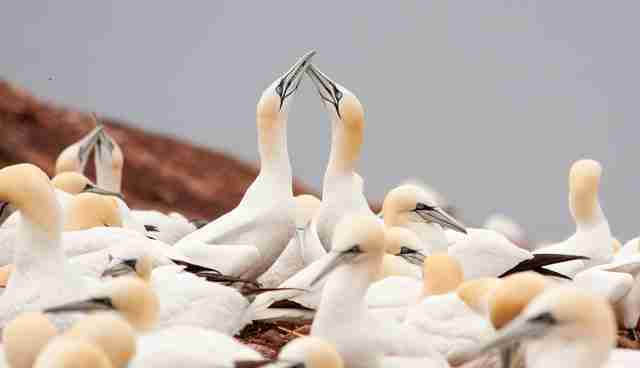 On evenings June and July, the hundreds young birds have to make their way to the sea before being able to fly and throw themselves off the cliff. Other wildlife to see are the fulmar, razorbills, and the entire underwater world around the island. An institute for polar and marine research is at home on the island, to protect the diverse marine life. Sweden will give you a lot of the wildlife you would travel to Canada for - except a lot closer. While the south of Sweden houses the bigger cities and is connected to Denmark, the central and northern parts of the country are mainly untouched nature and animals can roam in the wild. 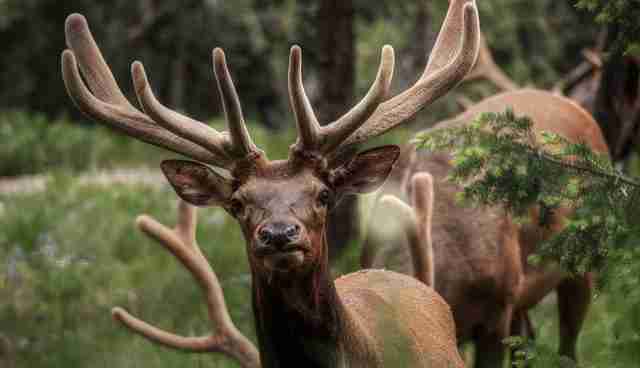 It is your chance to spot elks (or moose, if you were in Canada), bears and wolves. Brown bear sightings are still rare and starting in autumn they will get ready to hibernate. Lynx on the other hand are becoming easier to spot as their population is slowly growing. If you are staying in central Sweden, you may find some wolves as well. They were extinct in the 1970s but around 500 wolves are found in the country now, thought to have come from Finland and Russia. Other animals you may come across while in Sweden are birds of prey, mainly the sea eagle and golden eagle, the Arctic fox, seals, wild boar, wolverines, deer and even whales. While we know France for Paris, the Eiffel Tower, surfing in Lacanau, the beautiful beaches of the south and the Cannes film festival, it is large enough that it still has large rural and forested areas, housing all sorts of wildlife. If you are already in the south and exploring Marseille, take a look at the flamingos, horses, boars, bulls and beavers in the Camargue. Otherwise, why not head straight to the Pyrenees? Because it is almost uninhabitable for humans, wild animals have made it their territory - including animals you may know such as bears, deer, birds and foxes and otters, but also the chamois, a goat-antelope native to the European mountains. 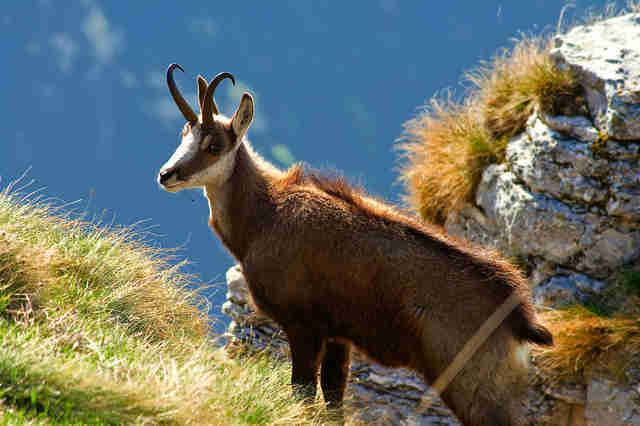 In the mountains in Eastern France you can go on the lookout for the ibex, a wild goat also known as steinbock, wolves and the Eurasian lynx which is still found in the Alps and Vosges. In the north west of Spain, in the Pyrenees, you can find similar wildlife as you would in the French Pyrenees such as brown bears, mountain birds and wolves. Head to the south east though and you may spot the Iberian lynx, one of the rarest cats in the world. To see one, your best bet is at the National Park of Sierra de Andujar, not far from Malaga. 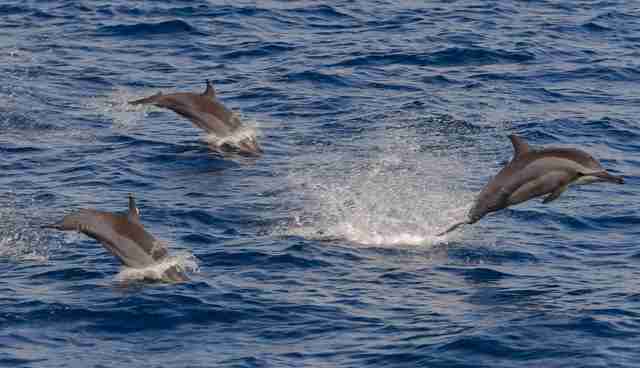 If you are more interested in marine life, the Canary Islands are the place to go! While the goats and dromedaries and lizards stay on land, you can observe dolphins and whales around islands such as Tenerife, but also dive to see corals, turtles, jellyfish and rays or spot an octopus! For a change of scenery, head to Central Europe to look for wildlife. Being less developed, Romania is largely left untouched which benefits their wildlife. A large number of animals which are almost extinct in other countries - including the UK - are still thriving there. 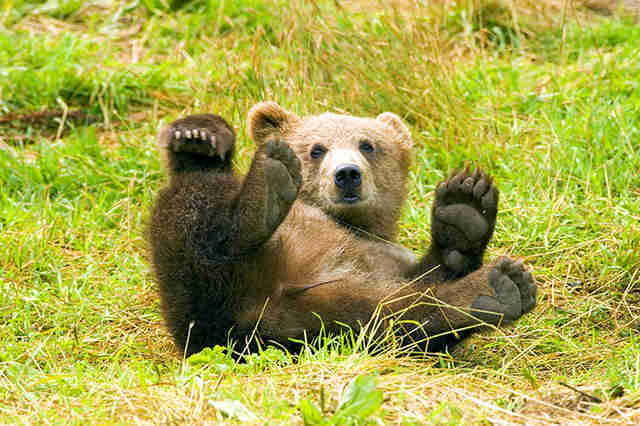 The country has the largest breeding population of brown bears in Europe. Along with bears, you will find other mammals such as wolves, foxes, boars and deer in the mountains of the Carpathians. Other wildlife to look out for is birds. In spring, during migration season, hundreds of bird will be in the south east of the country around the river deltas. It is the perfect time to look for the red-breasted flycatcher, shrikes, sparrows, larks and pelicans. Are you interested in exploring Europe and its wildlife a little more? Frontier runs a number of wildlife conservation projects in different countries across the continent.Take a look here.